A Night Out With Style Fanatic! JOIN US FOR A NIGHT OF CONVERSATION, NETWORKING, AND A DEEPER LOOK INTO OUR BRAND. AROUND SINCE 2008, STYLE FANATIC WANTS TO SHARE THE PURPOSE BEHIND OUR THRIFTY BASED BUSINESS AND WHY SUSTAINABILITY IS IMPORTANT TO US. 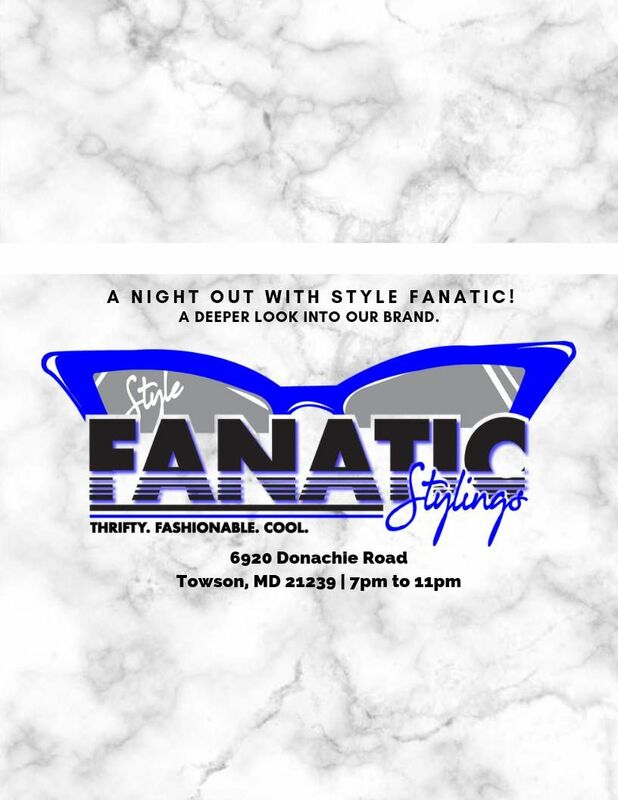 Come out and celebrate CEO of the Style Fanatic Brand, Tonae' Lee, as she breaks down the company's services, purpose, vision and overall love for the fashion industry. It is also a birthday celebration! A night of Fashion Fun and Celebratory Vibes. Sounds by DJ Damn Kham.